Every day, it seems, your DNA spills more and more secrets about you. This time it's the color of your eyes. Researchers in the Netherlands just published a study in Current Biology (subscription required) claiming the best results yet in using a person's DNA to predict what color the person's eyes are. Are we now one step closer to designer babies? Anyone who's ever done a series of Punnett squares in high school bio knows that it's not easy to predict the outcome of mixing genetic traits, even on the simple scale of a diagram. But the Dutch scientists say they were 90 percent accurate in determining whether a person had blue or brown eyes based solely on their DNA. The research team tested their method by studying 6,000 Dutch people from Rotterdam, 68 percent of whom had blue eyes and 23 percent of whom had brown eyes. They looked at the variation in eight different genes, each of which is known to be connected not only to eye color, but also the pigments that control skin and hair color. But the science is somewhat rudimentary at this point—all the Dutch tested were fair-skinned native Europeans. When different peoples and new eye colors came into play, the test's accuracy dropped to only about 70 percent. Seventy percent isn't bad (unless it's your final exam in English literature). However, when you talk about forensic science and using DNA evidence in criminal investigations, 70 percent isn't good enough. Ninety percent isn't either, and the researchers acknowledge this. Nevertheless, the Netherlands Forensic Institute intends to start using kind of identity biotech in its investigations next year, Nature reports. Granted, the Dutch authorities probably aren't going to try to pin convictions solely on connections between DNA and eye color—given that 68 percent of people in the study had blue eyes, it probably wouldn't do a ton of good anyway. A better use would be to use DNA evidence recovered at a crime scene to determine what color eyes the offender probably had, narrowing the search for suspects. Still, how do we know that these kinds of tests won't affect the authorities' attitudes—if officers learn through DNA testing that their suspect is probably blue-eyed, would they be more apt to dismiss other forms of evidence that pointed to a brown-eyed person? As noted in an earlier Big Think blog post, the legitimacy of most forensic science has been called into question by a U.S. Congress-mandated report into its accuracy. That report concluded that only nuclear DNA tests were reliable to connect a suspect to a crime, and that kind of DNA science—matching it to a person—is a far trying from trying to read someone's genes and tell whether they have blue eyes or not. Of course, there is another side to getting close to figuring out the genetics of eye color—designer babies. If scientists know that the expression of certain genes in certain ways equals blue eyes, then you could ask for you child's genes to be designed in that way. This blogger, for one, thinks that's absolutely ridiculous. But rather than rage against genetically-aided over-parenting, I'm going to take solace in the fact that the Dutch scientists don't have us hazel-eyed people figured out yet. Prejudice is typically perpetrated against 'the other', i.e. a group outside our own. 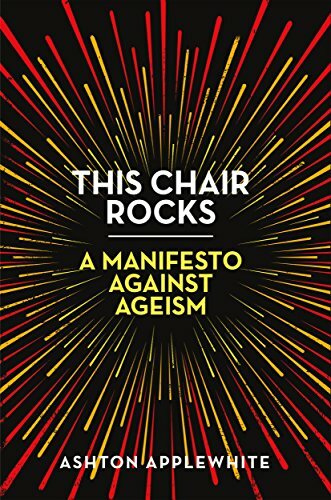 But ageism is prejudice against ourselves — at least, the people we will (hopefully!) become. Different generations needs to cooperate now more than ever to solve global problems. The team caught a glimpse of a process that takes 18,000,000,000,000,000,000,000 years. In Italy, a team of scientists is using a highly sophisticated detector to hunt for dark matter. The team observed an ultra-rare particle interaction that reveals the half-life of a xenon-124 atom to be 18 sextillion years. The half-life of a process is how long it takes for half of the radioactive nuclei present in a sample to decay.